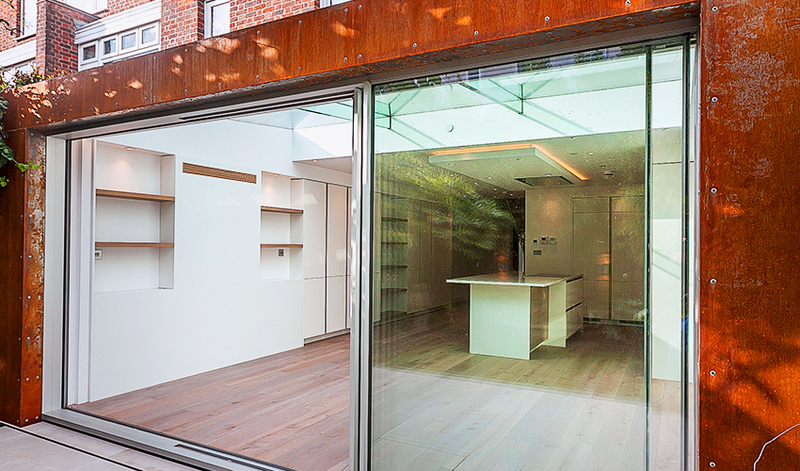 This complete alteration and extension of a prominent development in Holland park has demanded an extremely high level of detail and precision design to deliver. The original plan had a completely unused ground floor, with the kitchen and living space at first floor level. the entrance to the house was extremely dark due to the garage and corridors of the original layout, which has now been transformed into a completely open and airy double height space, that draws light from above into the studio/garage. The first floor level is completely open plan, and penetrated by the new glass and wood cantilevered staircase, that connects to the large skylights at the fourth floor. the clients brief to create an extension that was as light as possible has been achieved, whilst complying to the strict guidelines imposed in this delicate conservation area. Expected completion date in May 2016.